This is an emergency room failure to diagnose stroke case filed by a woman in Prince George's County. This case was filed in Health Claims Arbitration on January 10, 2017 and is the 12th medical malpractice claim filed in 2017 in Maryland. Plaintiff is brought by ambulance to Bowie Health Center with severe nausea, vomiting, and diarrhea after eating. When she arrives, she has high blood pressure. They then diagnose her with hypertensive encephalopathy and atrial fibrillation. The doctors at Bowie Health Center transfer plaintiff to Laurel Regional Hospital. Plaintiff is admitted to the ICU, where defendant physicians order Labetalol to help stabilize her blood pressure which was an insane 243/132. A 2D echocardiogram reveals a severely hyperkinetic left ventricle with left ventricular hypertrophy, a dilated left atrium, and aortic sclerosis. That evening, a cardiologist diagnoses her as having hypertensive emergency encephalopathy, atrial fibrillation, disease of her heart muscle, low levels of sodium in her blood, and possible acute gastroenteritis. Stroke severity and early mortality are higher in patients with atrial fibrillation. However, her blood pressure is under control with the IV Labetalol. That night, plaintiff's blood pressure begins to fluctuate significantly. Her physicians are not informed of this. She is transferred from the ICU to the Intermediate Care Unit, where the nurse documents her as being extremely lethargic and weak, but with normal vital signs. Defendant doctor is notified of her symptoms but does not examine her. He tells the nurse that the plaintiff had a negative head CT and to continue monitoring her. The next morning, defendant nurse performs several assessments, including a neurological assessment. This finds that plaintiff was drowsy and lethargic with clear speech. When plaintiff calls her daughter after, she tells her daughter she cannot feel her left leg, and that she told her nurse. Her daughter calls the hospital twice, attempting to tell them what her mother told her. However, her calls went unreturned. Four hours pass before another exam is done. When one finally is done, defendant nurse records a blood pressure below the parameters set by defendant physicians, but she does not inform them of this. Early that afternoon when defendant nurse assesses the plaintiff, she writes that she was sleeping most of the day and did not show signs of distress. However, before the nurse leaves that night, she changes her note, to say that plaintiff complained of left sided weakness. Plaintiff's malpractice lawyer alleges that this is a critical symptom that should be immediately reported to a physician. It is not until eight hours later that the nurse deals with this. Hospitals have stroke protocols that are designed to avoid this kind of delay in diagnosis. If this nurse had following what is almost certainly the hospital's stroke protocol, the report of the "stroke alert" symptom would have been reported immediately. That evening, plaintiff's daughter arrives at the hospital. She immediately finds that her mother's left leg was limp and that her left arm was stuck to her chest. She reports this to the hospital staff. Defendant doctor discovers plaintiff's left-sided weakness and recognizes it to be a symptom of stroke. 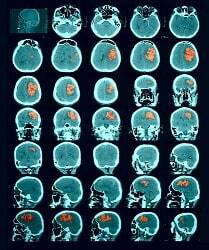 He quickly orders a head CT and MRI, which confirms that she had suffered a stroke. The most effective treatment for stroke is not an option for the plaintiff, due to the amount of time that had passed since her symptoms first began appearing (more than eight hours). That evening, plaintiff entered a "coma-like" state and she is transferred back to the ICU and placed on continuous telemonitoring. After a few hours, defendant doctor observed that she is having difficulty finding words and is unable to move her left lower extremity, or lift her hand. He orders her vital signs to be within specific parameters. However, nursing staff, several times, fails to notify physicians when deviations from these parameters occurred. Plaintiff is transferred to Washington Hospital Center, and then to Larkin Chase Center, where she stays for almost nine months. Plaintiff is unable to walk. She has limited movements in her left arm and hand, difficulties with speech and concentration, and other circumstances due to the stroke. She is not able to care for herself. A left-sided weakness tells us that there is something neurologically going on with that patient. Most likely plaintiffs' lawyers and their expert will argue that this in most cases with the plaintiff's presentation, left-sided weakness equals stroke. There are two type of strokes: ischemic strokes ("IS"), the result from blockages of blood vessels, and hemorrhagic events, which are the result of the rupture of blood vessels. Ischemic strokes are 85% of all strokes. This is the type of stroke the plaintiff had in this case. They are often caused by local vessel damage, such as a narrowing or hardening of the arteries or a tear in a vessel. They can also be caused by more distant sources of a blockage such as emboli traveling from the heart or from clotting abnormalities of the blood. The earlier you catch a stroke the better. An ischemic stroke can be treated with tissue plasminogen activator. Tissue plasminogen activator (tPA) is extremely beneficial in reversing or significantly decreasing the neurological effects of a stroke if it is administered within 3 hours of the onset of stroke symptoms. The science is clear that the earlier the tPA treatment is given, the better the patient's neurological outcome. Stroke misdiagnosis cases against a nurse for failing to report stroke symptoms are not uncommon. If you, or someone you know, has suffered an injury due to the negligence of a doctor or hospital staff, we can help you. Miller & Zois' experienced malpractice lawyers have a long history of defeating doctors, nurses, and hosptials in hotly contested malpractice cases. Call us today and speak to an attorney at 800-553-8082 or get a free online case evaluation. What is the value of medical negligence claims in Maryland? Get sample verdicts and settlements and get statistics on the value of claims. Looking at potential experts in stroke and heart attack cases.